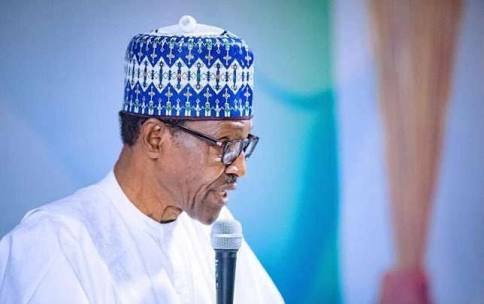 Nigeria’s president, Muhammadu Buhari on Monday, April 9 declared his intention to seek re-election in the 2019 general elections. Some Nigerians have expressed their displeasure over the president’s re-election bid, while pro-Buharists have continued to garner supports for his second term ambition. On the basis of the foregoing, Naijaloaded highlights the 7 reasons President Muhammadu Buhari may lose re-election in 2019. Nigeria has been battling with the crises between herdsmen and farmers before the present administration came on board. However, many thought with the antecedent of President Muhammadu Buhari, many believed that within the shortest pace of time, herdsmen attack across the country would be a thing of the past. But they were wrong as these crises linger on and many lives have been lost in it. Amnesty International (AI), a global human rights watchdog, described the response of the federal government to communal violence as grossly inadequate, too slow, ineffective, and in certain instances, illegal. AI claimed that in January 2018 alone, clashes between herdsmen and farmers in Adamawa, Benue, Taraba, Ondo and Kaduna states, resulted in 168 deaths. According to the body, hundreds of people lost their lives in 2017 and the federal government remained unable to protect communities from the violent clashes, adding that perpetrators were daily getting away with murder. When we all thought the Dollar was too expensive during Jonathan’s administration thinking Buhari will help us step it down, not knowing it’s going to be a case of Fry Pan to fire. In August 2016, Nigeria Nigeria slipped into recession. According to the Nigerian Bureau of Statistics (NBS), the second quarter of 2016 Gross Domestic Product (GDP) declined by -2.06 per cent. Many Economists attributed the recession to poor economic planning and inadequate concrete implementation of economic planning, high inflation rate; high interest rate, high taxation, and policy conflict. Most significantly, it was attributed to the over dependent of Nigeria government on oil for over 60% of its total revenues and the country for over 90% of her foreign exchange earnings. Insecurity is one of the major problems bedeviling Nigeria. Killings, Suic*de bombing and kidnapping have become the order of the day in Nigeria. Many innocent lives have been lost to armed robbery and kidnapping, and the government has not been able to nip this menace in the bud. Many are asking if the government still remembers its constitutional function of protecting the lives and property of its citizens. Nothing has so much divided Nigerians than religion. Many believe that religious crises are more political than religious. The Boko Haram insurgency and the violence in Jos are examples of religious crises that the country is plagued with. In Jos, the crises between Christians and Muslims have not been resolved yet, and many lives have been lost to these crises. Before President Buhari took over the mantle of leadership, the electorate had hoped that these and other problems facing the country would become history if he was elected to steer the ship of state. If the All Progressives Congress (APC) members can’t put their own house in order, who will? The internal crisis rocking the ruling party is an impediment which could mar the chance of the party in the 2019 general elections. Although, President Muhammadu Buhari designated Asiwaju Bola Ahmed Tinubu to resolve disagreements among party members, party leadership and political office holders in some states of the federation, but the crisis continues to deepen. If the APC leadership allows the crisis to hit a crescendo, then it should bid farewell to the presidency in 2019. Higher Institutions keeps releasing Millions of Graduates yearly even when those of the year before are still languishing at home looking for what to do. According to the National Bureau of Statistics, Nigeria’s unemployment rate currently stands at 18.80 percent. Year in year out the country is producing graduates that without producing employment opportunities. This and many other factors are responsible for different crimes that are plaguing us a nation. Nigerian youths are angry because they are jobless, and an angry youth would only try to change the status quo, as was the case with President Goodluck Jonathan when angry Nigerians chased him out of power. President Buhari is perceived by many to be nepotistic (meaning, he favors his relatives & family the most). Many have expressed their displeasure about the president’s appointments, saying that he favours the north at the detriment of others. The president was accused by a Second Republic lawmaker, Junaid Mohammed, of giving key positions to his cousins, nephews and in-laws. A closer look into his Cabinet shows President Buhari administrations favors the Northerners more.